Items FCE1232RSRN and FCE1232RSRXT are steel rails that have a soft coating and offer a less institutional look. 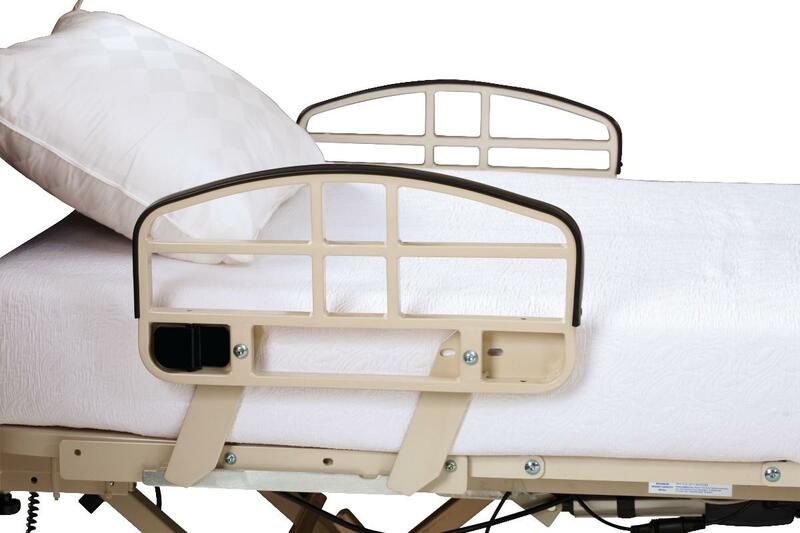 They are comfortable to grip when rolling over or getting in and out of bed. Item FCE1232RSRXT is extra tall to accommodate thicker mattresses. Item FCE1232RSR is 29"" long to offer additional protection for high fall risk residents. All rails meet FDA entrapment guidelines for zones 1-4.